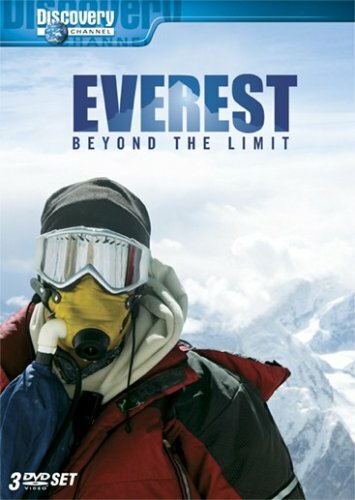 Experience Everest as it's never been before in this harrowing trek to touch the roof of the world. With unusually severe weather and heartbreaking circumstances, this expedition up the world's tallest peak becomes fraught with unexpected perils, leading to an emotional journey full of fear, hardship, exhaustion, disappointment and unforgettable triumphs. Boasting a crew of climbers each with something to prove, this expedition includes the first-ever double amputee to aim for the summit, an asthmatic climber ascending without bottled oxygen and a motorcyclist embracing life once again after a near-fatal traffic accident. Stunningly captured with high-definition cameras, each episode of this special DVD edition includes additional footage not seen in the original broadcast, plus behind-the-scenes moments you won't want to miss! Summit Dreams: At Everest Base Camp, newly arrived climbers struggle to acclimate to the Himalayas' extreme altitude. A cameraman collapses with intense stomach pains and is rushed down the mountain. The Gatekeeper: After they learn of a Sherpa's death from altitude sickness, expedition members struggle to prepare themselves for a climb that will be the ultimate test of their mental and physical capabilities. To the Summit: The expedition is divided into two teams for the five-day summit assault. The expedition leader warns the group that he will withdraw the Sherpas if any of the climbers disobey his rules. Into the Death Zone: The expedition is trapped in a high-altitude camp by unexpectedly high winds and is further delayed by a human traffic jam when slower climbers are encountered. Mutiny on the Mountain: Climbers must deal with one of the coldest days ever remembered on the mountain and get caught in another group's descent lines. The Final Cost: With the summit just 350 feet above them, struggling climbers, dangerously weak from serious frostbite and insufficient oxygen, are fiercely determined to reach Everest's pinnacle.